We all know and love the sweet taste of sugar, but what do we really know about the sweetener? Most can tell you that sugar is in familiar foods and drinks like cakes, cookies, and sodas, but did you know sugar is also in bread, ketchup, coleslaw, salad dressing, spaghetti sauce, baked beans, and BBQ sauce? Sugar has different names: sucrose, high fructose corn syrup, added sugar, Sugar in the Raw, and so many more. Sugar knock-offs, like no-calorie sweetener and Sweet and Low, are also thrown into the mix. Which sugar is the best for your body? 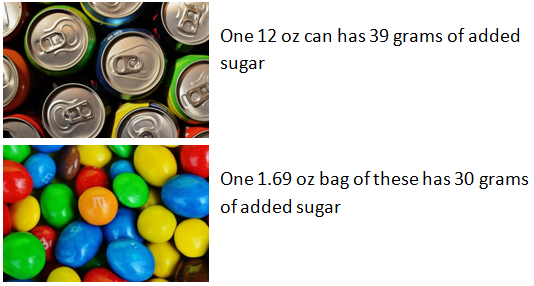 How much sugar is too much? We’ll be answering many of your questions about sugar in a two-part series of blog posts. 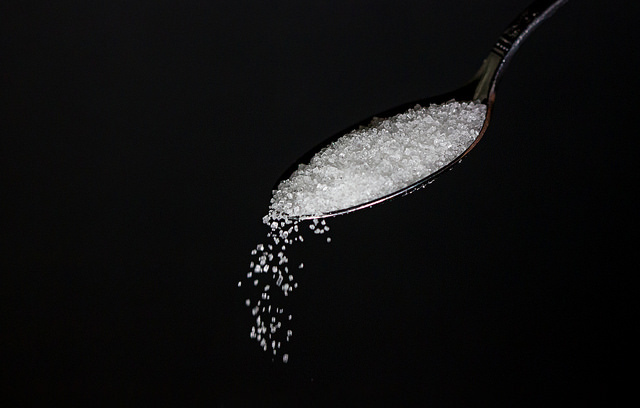 In this post, we’ll be focusing on recommended maximums for sugar intake, blood sugar definitions, what can happen if you eat too much sugar, and give you a chance to become an added sugar expert. Some foods have sugar in them naturally, like fruit and milk. These sugars are called “natural sugars.” Other foods have “added sugar”, meaning they had sugar added to them during processing or preparation, such as sugar-sweetened breakfast cereal or the teaspoon of sugar you add to your morning coffee. The American Heart Association (AHA) does not suggest any specific limits to natural sugars, but they do recommend limiting added sugars as they can increase the risk for various health concerns like Type 2 diabetes, heart disease, and high blood pressure. Other experts recommend limiting added sugars to less than 10% of your daily calories. The Institute of Medicine and World Health Organization agree that going over your added sugar allowance can make it hard to also eat enough nutritious foods and still stay within your daily calorie limit . Those that eat too much added sugar end up eating more calories than needed, or not eating enough foods high in fiber, vitamins, or minerals. What does added sugar look like in real life? 2. Blood sugar levels are the amount of glucose in our blood. Blood sugar is actually just another way to say blood glucose. Glucose is the main form of sugar that we eat, and what you eat regulates the amount of glucose in your blood. Glucose comes from carbohydrates, both healthy (like whole grain bread or yogurt) and less healthy sources (like soda or sweetened muffins). If you eat foods high in carbohydrates, your blood glucose can increase. If you don’t eat enough carbohydrates, your blood glucose can fall. The type of carbohydrate you choose matters a lot! Try to choose the more nutritious option. If someone has consistently high blood glucose levels the American Diabetes Association refers to this as Type 2 Diabetes. People with diabetes have to carefully manage their blood glucose levels since their body loses the ability to manage levels on its own. Learn more about diabetes here and here. We’ll discuss glucose more in What’s the Deal with Sugar? Part 2. 3. Too much sugar can increase your risk for weight gain and dental caries. Americans have consumed more added sugars in their diet over the past 30 years which has contributed to the rise of the obesity epidemic. Consuming excess sugar can increase weight gain (which in turn can increase your risk for Type 2 diabetes) and dental caries or cavities. Drinking sugar-sweetened beverages, like soda and energy drinks, have specifically been linked to Type 2 diabetes development . As little as 1-2 sugary beverages per day can double your risk for Type 2 diabetes ! 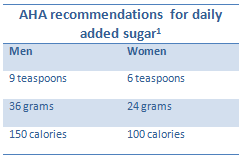 Following the AHA recommendations of daily added sugar can help prevent your risk. 4. Think you know which foods have more added sugar? Let’s play a game. 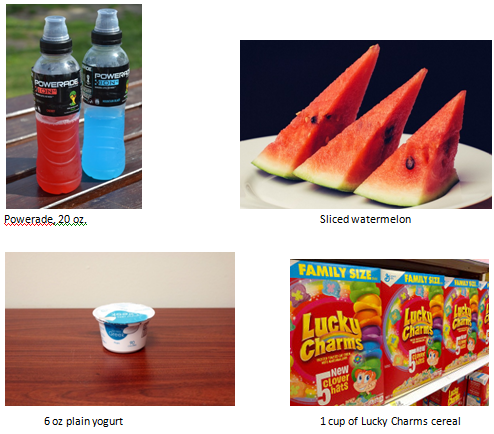 Choose from the following pictures which items have more than 10 grams of added sugar. Answers below!